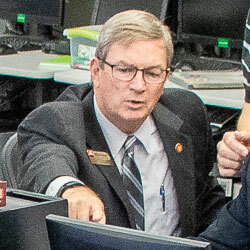 CASA tours CGSC, learns about simulations | Command and General Staff College Foundation, Inc.
Mike Hockley, Civilian Aide to the Secretary of the Army for eastern Kansas, and chair of the CGSC Foundation, received a demonstration of the CGSC’s simulations center on Sept. 4, 2018 at the Lewis and Clark Center, Fort Leavenworth. 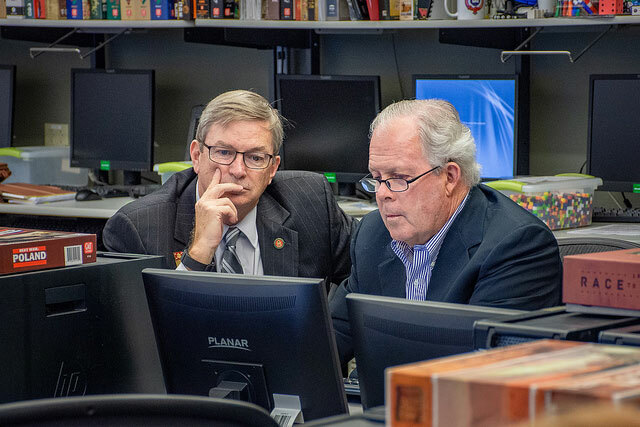 Mike Hockley, Civilian Aide to the Secretary of the Army for eastern Kansas, and chair of the CGSC Foundation, left, works with Foundation 1st Vice Chair John H. Robinson during a simulations exercise on Sept. 4 in the Lewis and Clark Center. Hockley was encouraged to gain an understanding of the use of simulations in Army education and training by Lt. Gen. (Ret.) 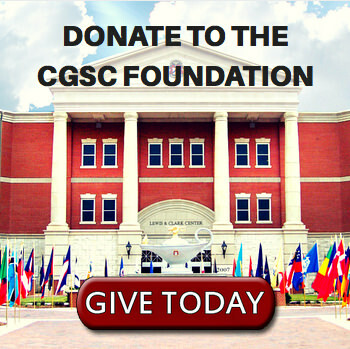 Richard F. Keller who also serves on the board of the CGSC Foundation. 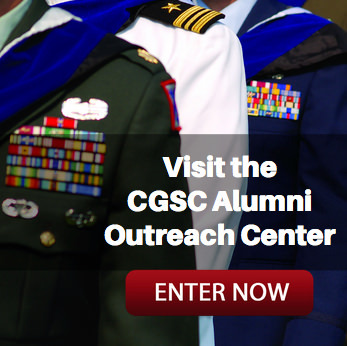 CGSC has a simulations support team that uses simulations ranging from decision support games, board games, networked first person shooter simulations, large scale games and simulations, to even a simulation based on Star Trek. The team gives a short overview of the use of simulations in the College and the theory behind using them to educate and train and then they get participants into the spirit with a number of games/simulations they can experience firsthand. Dr. James Sterret, Sims Team leader, provided Hockley and the group with a short lecture before leading them through the simulations exercises. Prior to the simulations experience, Foundation President/CEO Doug Tystad hosted the group for lunch at the Frontier Conference Center, led them on a short driving tour of the post to learn about its rich history, and provided them with a walking tour of the Lewis and Clark Center, home of the U.S. Army Command and General Staff College. For more photos see the album on the ArmyU Public Affairs Flickr site.